SHR is different from IPL as IPL uses intense light pulses with lower frequency causing more discomfort during the treatment as it needs a higher energy light pulse to target the skin for it to be effective! A very neat, clean and simple room for their customers. I was also greeted with a cup of hot tea before my treatment! The service is just superb. I didn't need to get myself changed as my SHR treatment will only focus on my lower leg area. The whole process took me about 15-20 minutes? 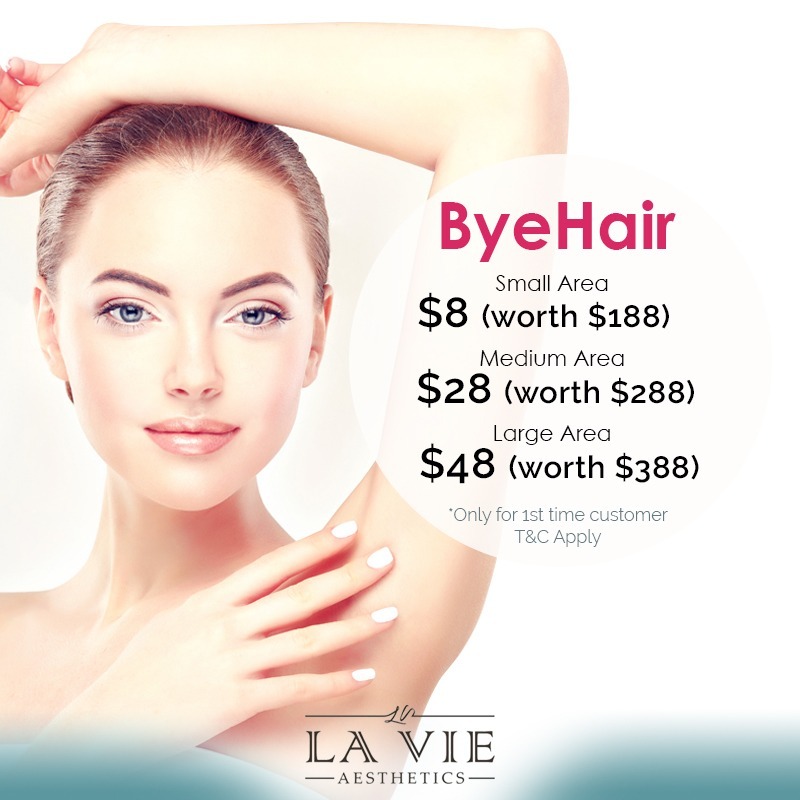 It's a quick one which means you can pop-by during lunch time to get your hair remove at La Vie! The treatment was rather relaxing too and surprisingly it didn't hurt at all! As you can see here, not even my toes hair were spared during this treatment (LOL). I was told that my hair is actually pretty fine hence I could come down the next trip without having to shave for a better result. After the treatment, I was led to a room to book my next appointment for BYEHair. Once again, I was served a cup of hot tea. All in all, I had a pleasant experience with La Vie Aesthetics. The staff there were so accommodating and friendly! I'm looking forward for my next appointment and will keep you guys updated more on Instagram stories! If you would like to give this shot, you may book your appointment HERE! They are having promotion for first time customer and you might not want to miss it! *This sponsored post was reviewed without being bias and a truthful opinion was given.